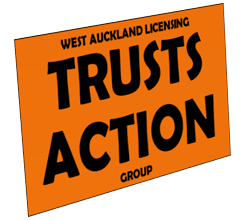 The Trusts like the people of West Auckland to think that they built The Trusts stadium in Henderson. This is what really happened. The Trusts are naming rights sponsors of The Trusts Arena in Henderson (Waitakere City Stadium). The annual value of their sponsorship of the stadium is unknown but their total spend on sponsorship in 2017/18 was $128K. In approximately 2010, The Trusts contribution to stadium funding was 9% (https://www.parliament.nz/resource/0000098268). SO WHO REALLY BUILT THE TRUSTS STADIUM? Separation between the gaming operator and the venue (i.e between The Trusts and what is now TTCF Ltd) was mandated in 2005. In 2003, the funding from The Trusts was a combination of gaming proceeds and alcohol profits. In 2003, the NZ Herald reported that 85% of donations came from gaming (https://www.nzherald.co.nz/index.cfm?objectid=3098386). Using these figures, we’ve created the below graph to illustrate the breakdown of development costs for the stadium.